Nothing is sweeter than looking down and seeing your pup smiling back up at you, slobber and all. That mouth loves you, but part of being a responsible pet parent means loving it back. There’s a widespread belief that crunchy kibble keeps dogs’ teeth clean and removes plaque, but veterinarians actually have a broad range of opinions on the subject. Most agree that unless a dry food brand was specifically designed and formulated for dental health, it won’t add any real benefit. The idea of relying on kibble for dental hygiene is like somebody telling you that they eat cereal bars instead of brushing their teeth every morning. Some veterinarians even say that chewing kibble can actually cause dental issues, as fragments of food can get pushed (and lodged) into the gums. High levels of sugar and simple carbohydrates in many commercial pet food brands can also lead to built up oral bacteria over time. Plus, dogs don’t technically need to chew to eat. They gnaw! For dogs who love to chomp and gnaw, rubber toys can be a great assist for at-home dental care. If you have a dog who doesn’t love to chew, take extra care. The only real key to keeping your dog in the clean teeth club is preventative maintenance — we’re talking regular at-home brushings. We know: life happens, so sometimes nightly brushings won’t, but yearly dentist visits are a must for optimal dental health. Talk to your vet about how often your dog should be getting his or her teeth cleaned. Many claim that a fresh, human grade diet can help maintain dental hygiene (and greatly improve doggy breath! ), but an important caveat to this is that an unbalanced homemade diet can also lead to dental issues. If feeding a homemade diet, make sure it’s properly nutritionally balanced and contains a mix of fresh vegetables, lean protein, leafy greens, and vitamins and minerals. Other at-home options like oral care water additives can help prevent tartar buildup and improve dental hygiene. 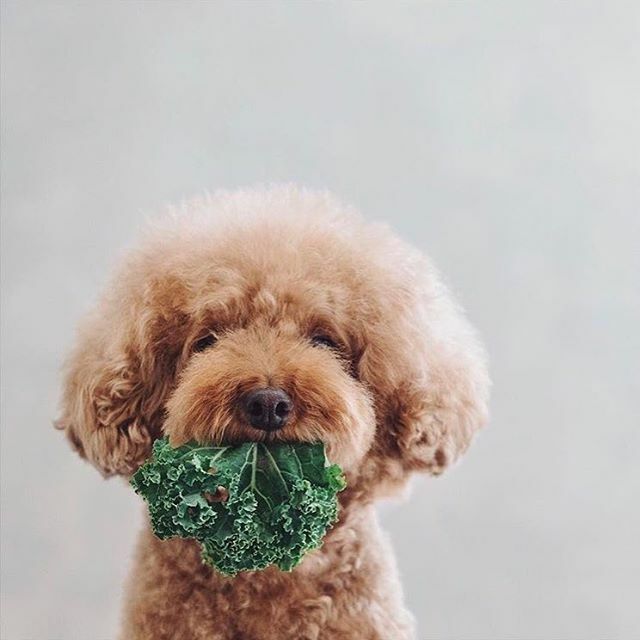 Herbs like fennel, parsley, and dill also promote dental hygiene and fresh breath and can be added to your dog’s regular meals, so you can let yourself off the hook if you don’t quite get around to brushing those molars every night.